Roosebeck Ukulele 4 String Set Titanium Tenor RBSUKTT. 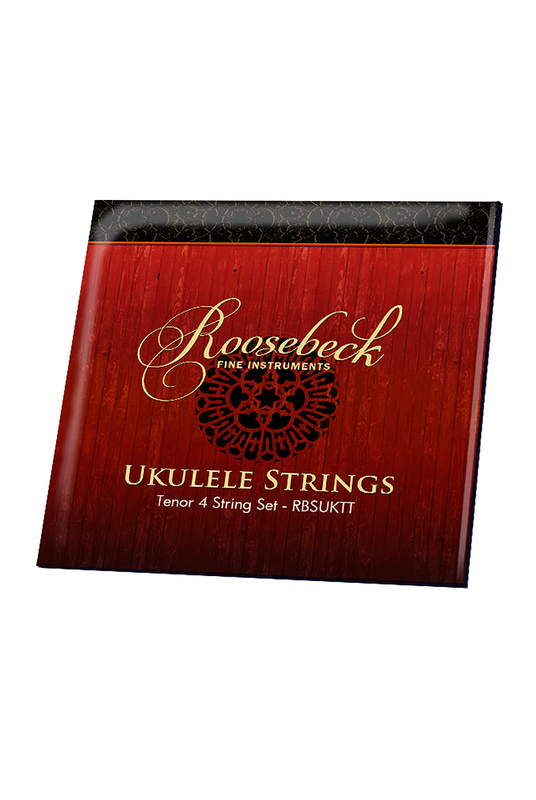 The Roosebeck Tenor Ukulele Titanium String Set contains 4 titanium strings with straight ends. Titanium strings have a translucent purple hue, and a polished, smooth feel similar to nylon, but hey have a slightly brighter tone and increased projection. The G string is lighter gauge to allow for reentrant tuning.